Golf club headcovers are made to protect your golf clubs when you're not using them, but they also let you express your particular style on the golf course. Although they all serve the same purpose, different headcovers are sized for different golf clubs. For example, a putter headcover wouldn't fit your driver and vice versa. Headcovers can also be made from different materials, and the material of your perfect golf headcover depends on how often and how seriously you play. Vinyl headcovers are often water resistant as well as easy to clean. Neoprene headcovers are especially strong and stretch to fit different golf clubhead sizes. Plush headcovers like those of cartoon characters or team mascots are less protective but are more fun and let you express your own style or sense of humor. 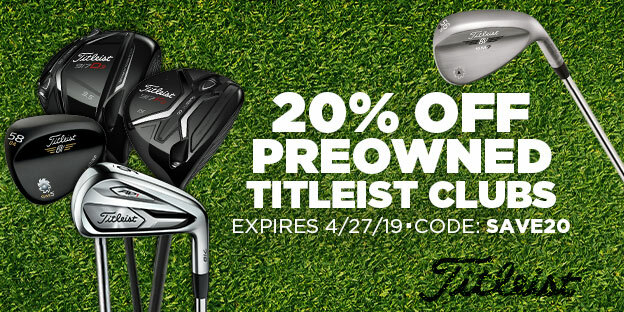 GlobalGolf.com carries both new and used headcovers from the top equipment manufacturers in golf, such as TaylorMade headcovers, Nike headcovers, and more. We also carry after market creative, funny, vintage, and even Star Wars headcovers. So take a good look around—we're sure to have something to match your style.